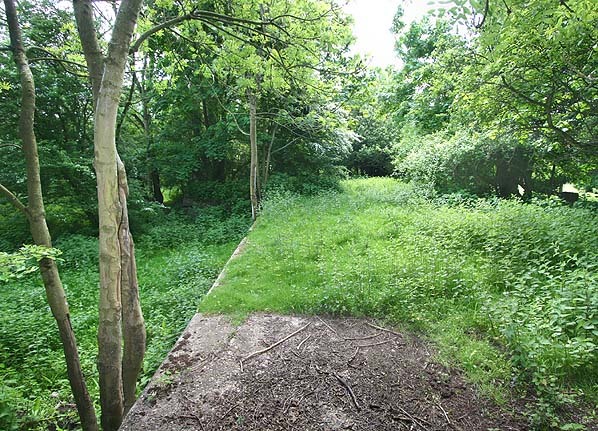 Present state: The station has been demolished with no evidence of anything remaining, however at the back of the goods yard a goods platform is still extant in a small wooded area. 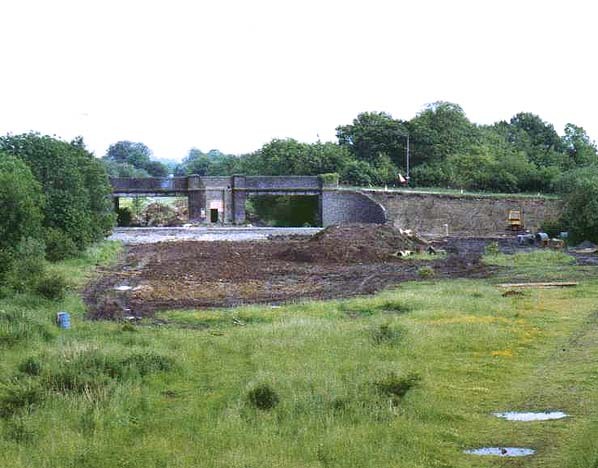 The A361 road bridge from where there was access to the platform, has been demolished but Bridge 491, a metal bridge carrying a minor road across the line to the north of the station is still extant. 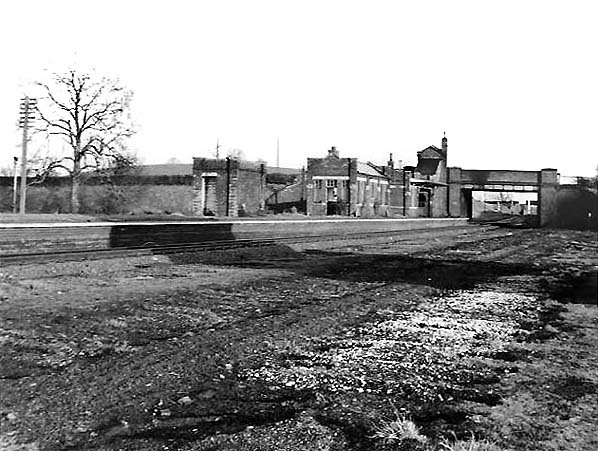 The goods yard was sited on the down side of the line, just north of the station a 2 mile branch led to ironstone quarries. 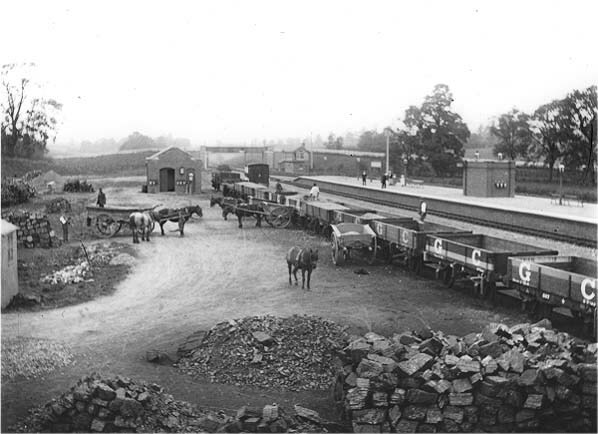 There were extensive sidings in the goods yard to cater for this traffic, at its peak there were often more than 200 wagons stabled in the goods yard. 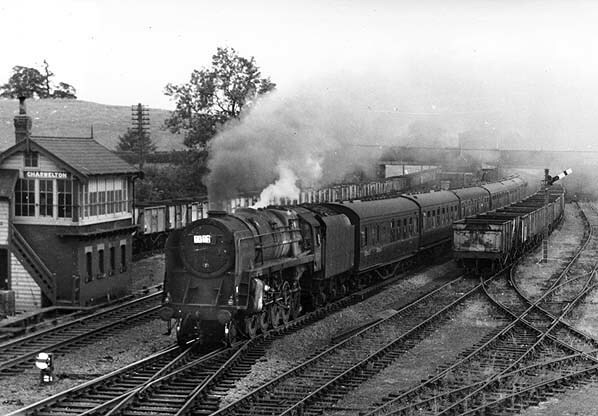 The stations closed to passenger and goods traffic on 4th March 1963 but the siding remained busy for some time after that until the quarry ceased production. PLC thus forming a single 18 mile preserved line. 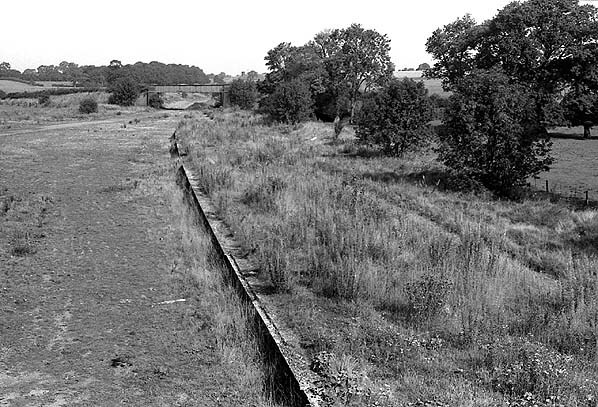 In the 1990's NTHC obtained a loan to buy the track from Railtrack. Gypsum traffic resumed in 2000 with up to two daily trains and revenue from British Gypsum is used to pay off the loan. 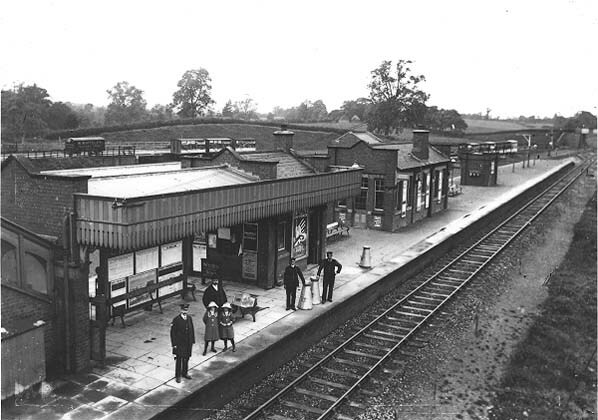 Rushcliffe Halt has now been restored and in 2003 regular services were reinstated although passenger trains south of Rushcliffe Halt are limited to the second Sunday of each month as there is no station at Loughborough. Risborough. Marylebone Station was due to close on 12th May 1986 but the station was eventually reprieved and the closure proposals were rescinded. Following rail privatisation in the 1990's, Chiltern Railways took over the route and in 2006 two new platforms were built at Marylebone on the site of the old daytime carriage sidings. The new platforms and partial resignalling of the station throat now make it possible to run 20 trains per hour in and out of the station. North of Aylesbury the track remains in place but is only used by waste freight trains to the landfill site at Calvert where a junction with the Oxford - Cambridge line remains in use. On selected days, usually bank holidays, special passenger services run to the Buckinghamshire Railway Centre at Quainton Road station. 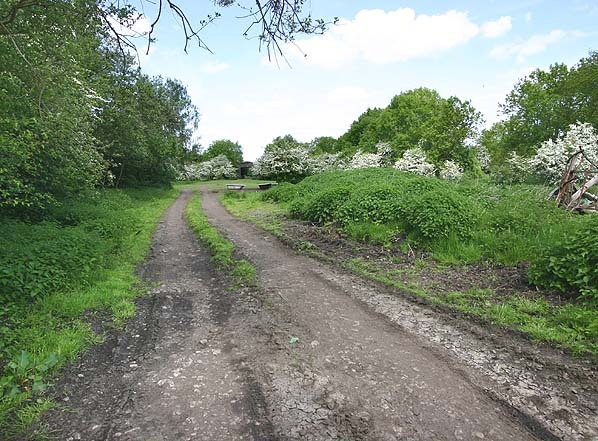 There are now proposals to extend the passenger services northwards to a new station called Aylesbury Vale Parkway at the point where the line crosses the A41 near Berryfields Farm. This area is to be known as the Berryfields Major Development Area and will include park and ride facilities for Aylesbury. 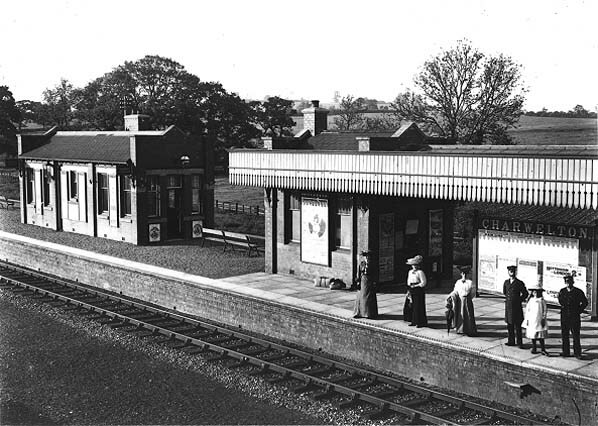 Too see other stations on the Great Central Railway between Sheffield Victoria and Aylesbury click on the station name: Aylesbury, Waddesdon, Quainton Road (1st site), Quainton Road (2nd site)**, Calvert, Finmere, Brackley Central, Helmdon, Culworth, Woodford Halse, Braunston & Willoughby, Rugby Central, Lutterworth, Ashby Magna, Whetstone, Leicester Central, Leicester North***, Belgrave & Birstall, Rothley**, Swithland****, Quorn & Woodhouse**, Loughborough Central**, East Leake, Rushcliffe Halt**, Ruddington, Ruddington Factory Halt, Arkwright Street, Nottingham Victoria, Carrington, New Basford, Bulwell Common, Bulwell Hall Halt, Hucknall Central, Annesley South Junction Halt, Hollinwell & Annesley, Kirkby Bentinck, Tibshelf Town, Pilsley, Heath, Staveley Central, Renishaw Central, Killamarsh Central, Beighton (1st site), Beighton (2nd site), Woodhouse Junction, Woodhouse*, Darnall*, Sheffield Victoria & Sheffield Bridgehouses. line can be seen to the north of the station. 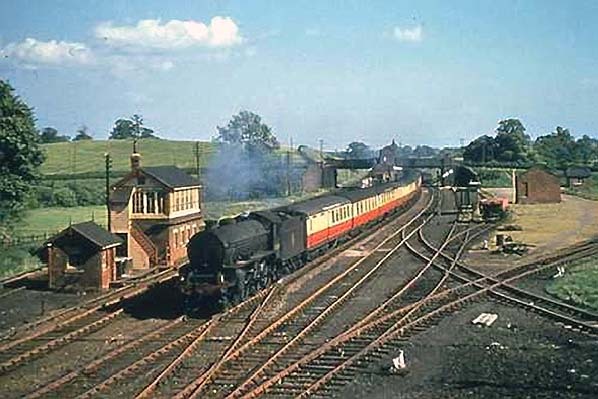 Looking south towards Charwelton station in May 1953. 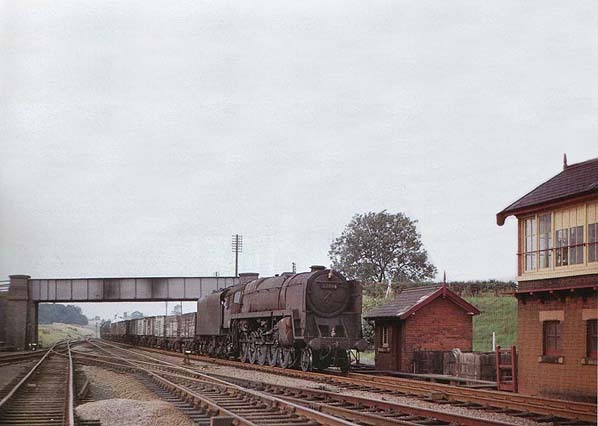 Looking south towards Charwelton station in 1964. 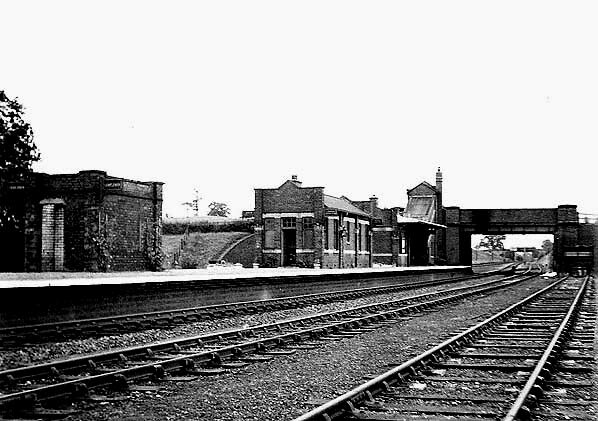 Charwelton Station looking south in 1966. 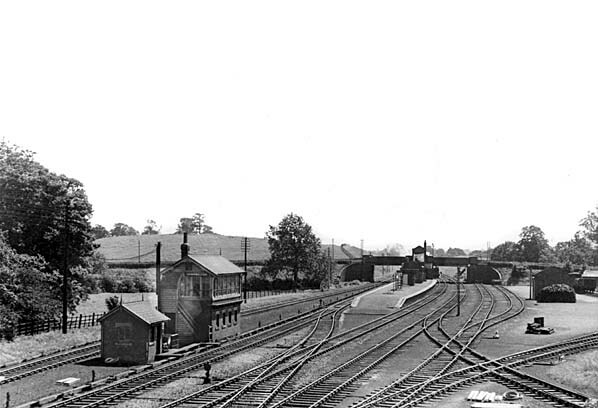 The goods service was withdrawn in early 1965 but the sidings remained in use for quarry traffic. In this view the track appears to be recently lifted. the demolition of A361 the road bridge.